Foundations are critical to the integrity of any home or building. A cracked foundation can signal an impending problem to plumbing, and the stability of your home. Due to the types of soil in North Texas, and all of the recent earthquake activity in the area, it is crucial to have your foundation inspected by a professional certified engineer. Catching foundation issues before they become too sever is very important for any home buyer or seller. Obtaining a professional inspection can be one of the best things you ever do as a home owner. We perform full measurements on pre and post tension systems using zip level and other technologies as appropriate. Engage us early on for pre construction phase and third party slab, frame, or rebar inpsections. Being proactive, and having a foundation inspection every several years can save you the homeowner money in the long run. 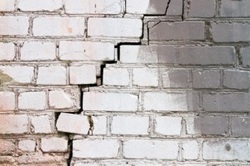 If issues are discovered, you can have your foundation repaired before major issues occur to your home. Also if you are in the market to sell your home, you should have a sellers inspection so you can fix any foundation issues before putting your property on the market. Having these repairs completed in advance can increase the value of the property significantly. Foundation issues can drastically lower the value of a home, or cost you large sums of money to fix at the last minute. 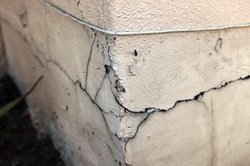 If you notice any indication of a foundation issue, call us today for assistance. We are professionally certified engineers and will give you a fair and honest assessment of the property. We will provide you with photo and video documentation of any issues we find with your property, and will also be able to answer all of your questions and work with builders and contractors to help you get the repairs completed. The foundation is the most critical component of the structure of your home. If your home is pier and beam, inspectors will also look for missing elements that can weaken the structural integrity of a foundation. Does the property sit on a slope? Does the property sit on or near a fault line? How good is the natural drainage around the property? Does the house sit near a river that has the potential to flood? Once an inspector has assessed all the risk factors, he/she will be able to determine if the foundation is sound or if repairs are needed. We know that choosing the right foundation inspector for your property is important. We are professional engineers, and are trained to provide you with a proper inspection from an engineering perspective. We have conducted thousands of home inspections in the Dallas / Fort Worth area, and would love the opportunity to provide you with an accurate inspection of your property. Dallas, Addison, Allen, Carrollton, Celina, Colleyville, Coppell, Dallas, Euless, Fairview, Farmers Branch, Forney, Frisco, Ft. Worth, Garland, Heath, Highland Park, Prosper, Irving, Lewisville, Little Elm, Lucas, McKinney, Murphy, Parker, Plano, Prosper, Richardson, Rockwall, Rowlett, Sachse, The Colony, University Park, Wylie and Surrounding areas. If you are not located in one of these cities listed above, we can still help you with your inspection. Give us a call and we can work out the logistics and give you a quote.